Talk about puppy love. These Hollywood stars pull no punches when it comes to treating their dogs like members of the family. *This post is sponsored by Beneful. 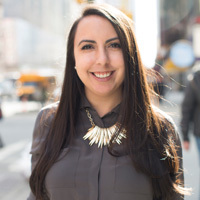 Samantha Leal is the Senior Editor for MarieClaire.com and former Deputy Editor of Latina.com. When she's not looking up the perfect GIF, you can find her interviewing cool people and napping like it's her job! Follow her on Twitter.